Alea uses set of proprietary methodologies and systems to court customer prospects generated by a variety of marketing techniques and operational adaptations that promotes player acquisition. Attainment orbits around customer satisfaction of the play experience. 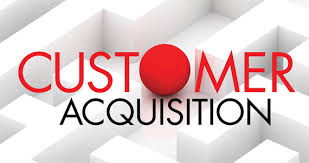 Alea considers player acquisition the measure of success for its operational implementations. If the ideas are correct a defined pattern of new players adhering to the property is observable. Our actionable recommendations are easily quantified by the effectiveness of results of various promotional activities and operational improvements. Through this ongoing process of revision Alea is able realize continuous improvements in both promotional activities, operational approaches, and better improve the customer acquisition system.